July 14 election in Ekiti was electrified by series of drama and the display of comical and political stunt. The two major parties in the election, People Democratic Party (PDP) and the All Progressive Party played the game to it fullness. They both pulled strings to ensure they get the mandate of the people of the state, either by crock or by hook. To be candid, the drama in Ekiti State gave Peter Orubebe’s melodrama during the announcement of 2015 general election result in 2015, a run for it money. Nigerians were no doubt politically entertained, especially when you keenly follow the theatrics political actors involved. 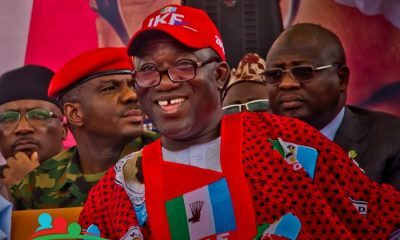 The Ekiti State election attracted the attention of many Nigerians, not because of the parties involved or candidates involved, but for the insane confidence exhibited by one man during the build up to the election. This man, who called himself the Rock (not the wrestler) has dared a lot of powerful folks and has confronted authorities over and over again, because he believes that “those waiting for him will wait in vain because, I am peter, the rock” I am talking about no other person than the governor of Ekiti State, Ayodele Peter Fayose. Fayose, not the Professor Kolapo Olusola, nor the People Democratic Party (PDP), is the biggest loser in the just concluded July 14 governorship election in Ekiti State, in the just conclude election. His failure to secure Ekiti state for his deputy has far reaching effect on his future political trajectory. Oshoko, as his undying supporter call him, has been, not just the mouth piece of the opposition in the country, but also a thorn in the flesh of the ruling party. The Presidency and President Muhammadu Buhari himself would understand how it feels like to be a foe to this guy. He is one, who would never mince words about a thing, he says things as he feels, no matter how, untrue and unconvincing his statement is. His Political arrogance and unguarded confidence have won him many enemies, friends and admirers alike. To a very large extent, the July 14 election in Ekiti State was entirely about him. 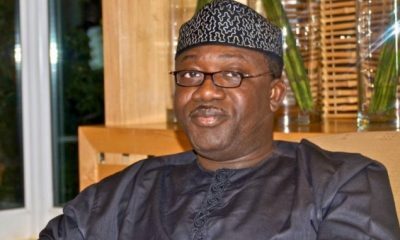 The enemies, he has incurred in and outside the state, have sworn to themselves that they would dispose him of his only pride, the control of Ekiti State. This is evident in the fact that the All Progressive Congress (APC) pulled all the strings its can muster including the deployment of its federal might to crush the Rock, not entirely because they want Ekiti state, but because they wanted the head of Peter, the Rock. Fayose has been known over the years, as a respecter of persons or records. Fayose defied the political precedent of godfatherism. Fayose ensured that he was the alpha and the Omega of the Ekiti State, by taking control of the political economic and social structure of the state. He had the party under control and asserted himself on the party. Fayose also, ensure or literally imposed his deputy Prof. Kolade Olusola Eleka on his party and almost ensured victory for his deputy despite the fact that the bigwig in the party left the party, leaving him to rally for the support of the people of Ekiti. Thank God Ekiti is under a democratic dispensation, the state would have learned to live under the dictatorial spell of Fayose- this is how tyrant emerge, from being heroes to being dictators. There is no gainsaying that the people of the state adore him for his charismatic spirit and ability to relate with them, however, over the years, he has taken the people’s respect and admiration for foolishness. Fayose bragged that he would win elections and become the governor of Ekiti over and over again, if he has the constitution leverage to contest. In fact, during an interview with Seun Okinbaloye of Channels Television Fayose Said “With all humility to Ekiti People, if I support anybody, whether he is from my household, they would still support that person… I am more than popular with my people, I am the first Ekiti Son to defeat two incumbents in two separate attempt, despite all the wars they waged against me, I am the first Ekiti Son to become governor of Ekiti State twice in Ekiti… and I will be the first Ekiti governor that would have a successor from his own party”. 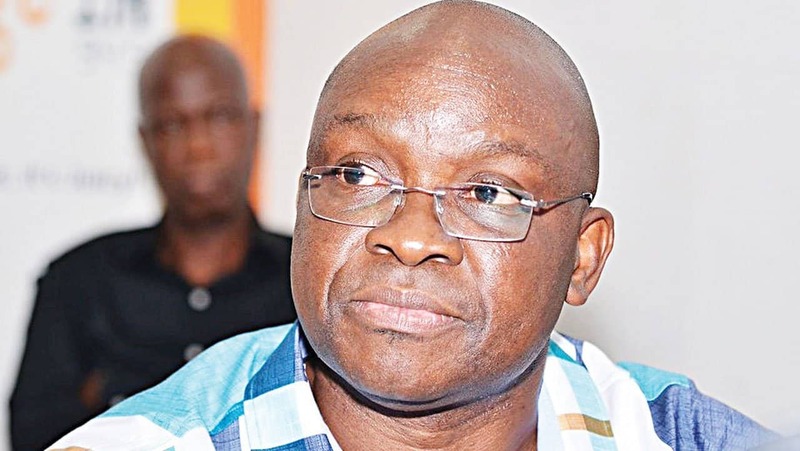 Nigerians have been watching with keen interest the tricks that Fayose would be pulling to undermine and withstand the might of the federal government, especially when you consider that the Federal government was no longer ready to stomach his insolence and political obnoxiousness. It is obvious that the APC-led Federal government gave all it had to take back Ekiti State. Apart from the 30,000 Police men, in addition to officers of other security agencies deplored for the election, the federal government also employed the strategized, known to be employed by Fayose himself to dislodge him of the state, the strategy of inducement. Fayose is known to be a politicians with numerous tricks and gimmick, the fact that he had been able to make the people of Ekiti docile, with his lies and propaganda is still baffling despite owning civil servants in the about 9 month salaries. Fayose has constantly being laying the blames of his inability to pay salaries at the footstep of the federal government. He has also, over the years converted the state media to the means to spread his propaganda. Fayose, the rock of Ekiti State, succeeded in using the prevailing poverty in the state to feed his political ego. Ekiti State has been a laughing stock due to the of the level of poverty in the state. Fayose, himself cannot deny the fact that no meaningful development has been experienced in the state since the inception of his government. Report has it that he, the Accountant general of the state and the his publicity Secretary, Lere Olayinka run the state, all other appointee are mere figureheads. Also, Fayose has the State House of Assembly members in his pocket. One again, during the build up to the July 14 elections, Fayose made his desperate desire to be succeeded by his deputy known when he employed outrageous strategies. For instance, about a month to the election, he promoted about 40,000 plus civil servants in the state, workers he couldn’t afford to pay and didn’t promote during his three and the half years as governor. This is in addition to his announcement that he would be employing 2000 more Ekiti people to the civil service. The worst of his gimmick was when he sent N3000 into the account of the civil servant in the state in a bid to influence their voting decision. With the Introduction of Stomach infrastructure, Ekiti state lost it pride as the “Fountain of Knowledge” The people of the state were sold out by the antics of their governor who understood the need for food and the ability to use this needs to get what he wants. The people gave in to his antics to the detriment of the development of the state. 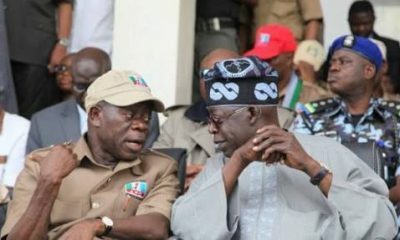 Keen observers acknowledge that the People Democratic Party (PDP) lost Ekiti because of Fayose desperation for power and his desire to be in control of Ekiti State. For his reason, he locked out and betrayed political bigwig who fought for his victory during the 2014 election that brought him to power. A perfect example is Mr. Dayo Adeyeye, who reportedly stepped down for him during the PDP primary election in 2014, with the hope that he would get similar support four years later. Fayose effective monopolized the control of the PDP in the state. He made appointment without consultation, crushed any form of opposition in and outside the party and feed the people of Ekiti with lies. The lies he tried to employed days to the election when he reportedly came on air to accused the police of attacking him, an accusation that is, to a very large extent, unfounded. Fayose would definitely be terrified by the thought of leaving the seat of power. The same seat he had employed to arrogantly dishonour, abuse and defamed people who are more highly placed than he is. President Muhammadu Buhari, Chief Olusegun Obasanjo etc. would readily narrate their ordeal. Fayose, would leave without the immunity he enjoyed and forever be hunted by the boostful, abusive and irresponsible statement credited to him. 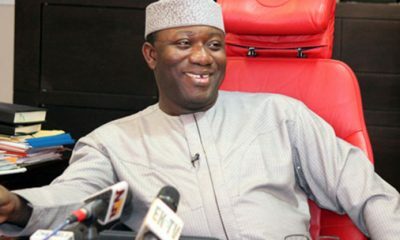 Fayose is advice to brace up because nemesis will catch up with him, either for good or for evil as he prepare to hand over to his arch-rival, Dr. Kayode Fayemi.